We are passionate about YOGA and we love to share our passion and experience with you. There are plenty of options for you to get involved – for everyone at every level of ability. Our 200 hour Anusara® Yoga Teacher Training Programme runs both part time and as a 200 hour residential intensive format. The 300 hour Advanced Yoga Teacher Training is open to all yoga teachers who wish to take their teaching to the next level. See our Anusara® Yoga Teacher Training Overview page for a complete listing of courses and booking options. 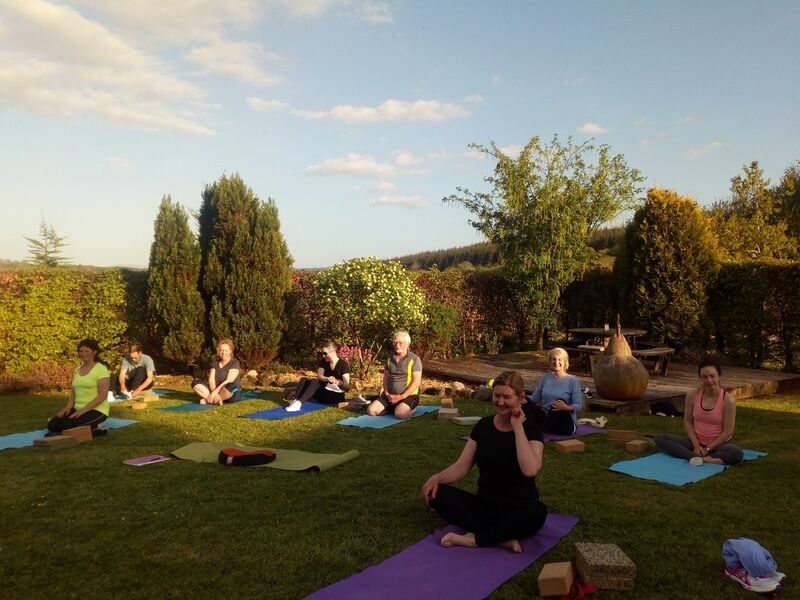 Our Yoga Retreats are open to all and offer ‘timeout’ to enjoy the benefits of practicing yoga, eating well, relaxing and having fun. 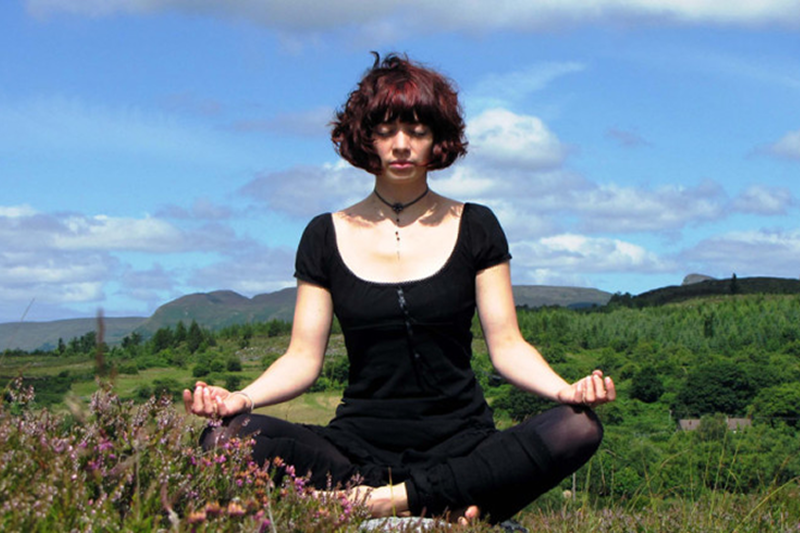 Weekly yoga classes serve the local community and are progressive and fun. With some students coming for over a decade, there is a sense of camaraderie and support for newcomers – guests are always welcome. 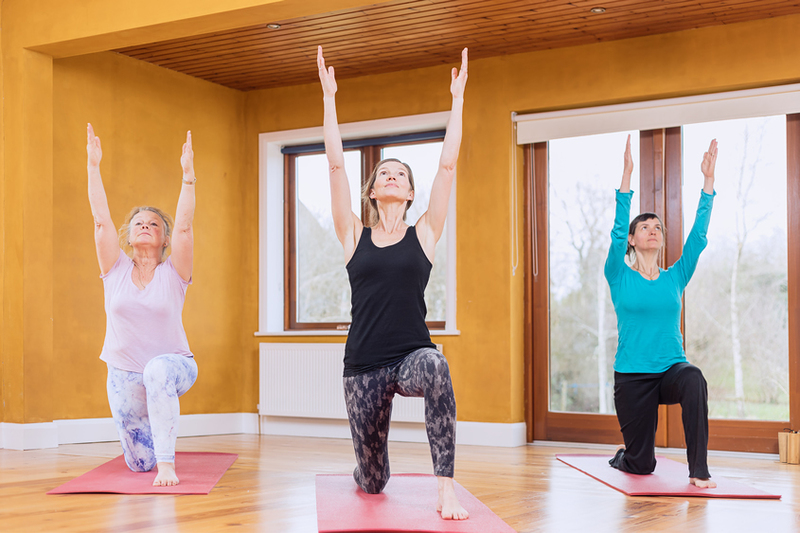 Our award-winning yoga retreat centre welcomes individuals, couples, families and groups and offers an escape from the grind of busy lives – we try our best to accommodate everyone. Our little piece of heaven in the West of Ireland is the perfect place to hide away, relax and recharge. This WiFi free zone invites you to enjoy the beauty and simplicity of country living – you will leave with a whole new positive perspective in your pocket. Just off the Wild Atlantic Way in the North Leitrim hills, we are perfectly located as a base for touring the west and north of Ireland. There really is so much to see and do in this area, and we’ve given you a run-down of the location right here. 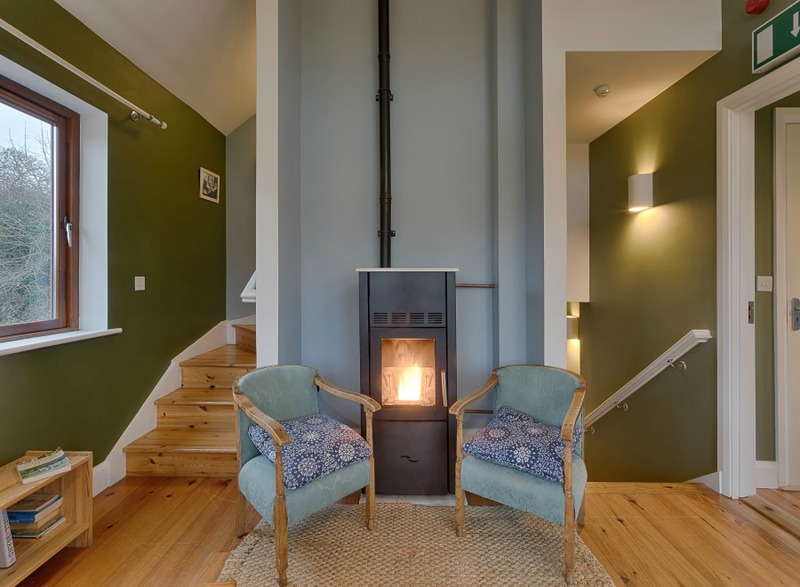 Whether you are looking for a self-catering holiday in our charming Eco Cabins or for one of our ‘Chilllout Break’ packages, there really is something for everyone. Why not avail of a natural healthcare treatment, a yoga class and/or try our Uisce Hour (private use of our outdoor sauna and hot-tub). A warm welcome is waiting for you.